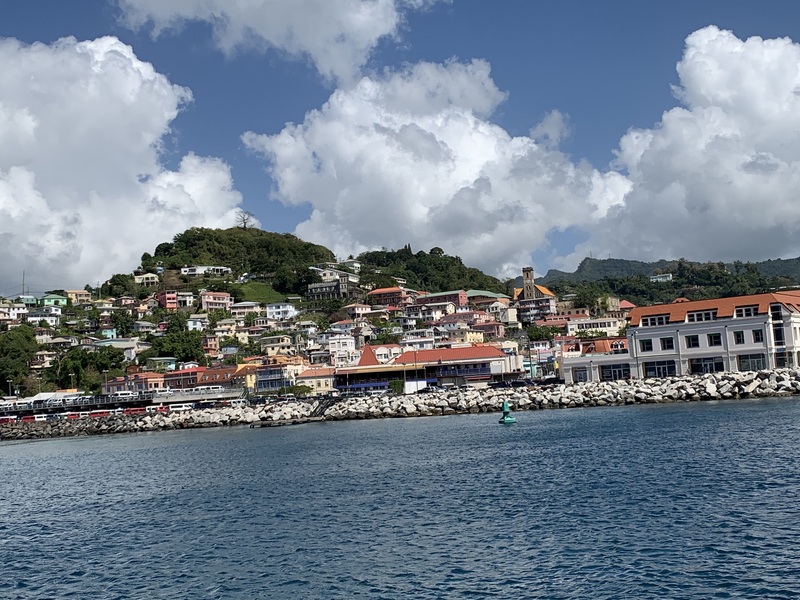 After a day at sea yesterday, this morning we arrived at St. George’s, capital of the island nation of Grenada. Early in its history Grenada was occupied for a while by the French but was later taken over by the British. The nation gained its independence from Britain in 1974. Grenada comprises about 121 square miles and has a population of about 120,000. About 65% of the population is of African descent. The main sources of the nation’s revenue are, in this order, tourism, agriculture, and fishing. The island used to grow a lot of sugar cane, but because people no longer want to work in the sugar cane fields, that industry has died out. Now Grenada produces a lot of rum from imported molasses. Our tour groups were treated to a complimentary beverage, and the most popular choice was the rum punch. Let me tell you, they take their rum punch VERY seriously, with emphasis on the rum. 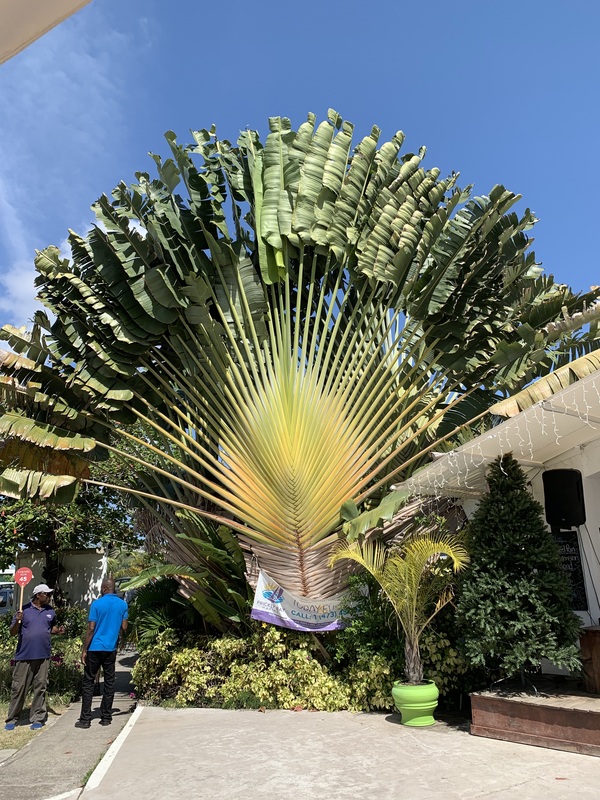 I’d never seen this kind of palm before. It’s illegal in Grenada to wear camouflage clothing or carry camo accessories. Local authorities have a zero-tolerance policy on this issue. We arrived in Miami and boarded our ship on Wednesday, January 3. The ship departed from Miami at 8:00 p.m. on Wednesday. 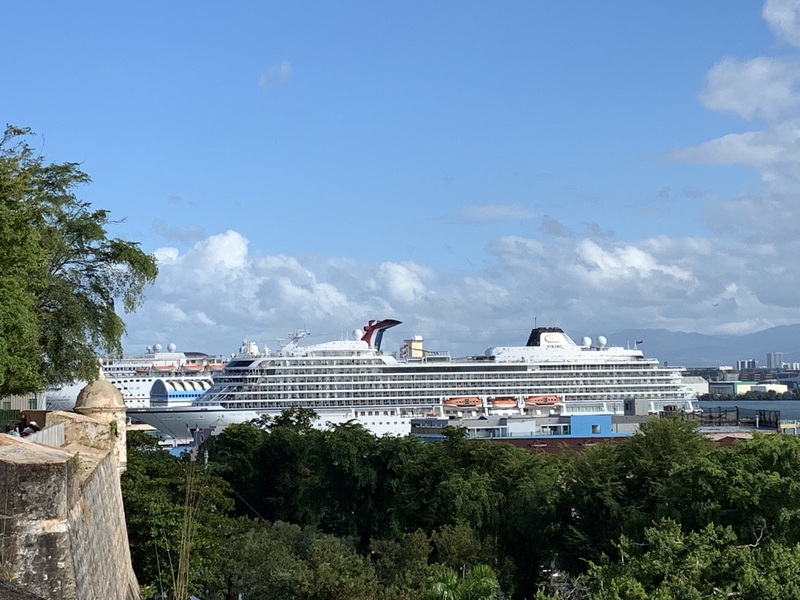 After spending Thursday, Friday, and Saturday at sea, today we docked at San Juan, Puerto Rico. Originally settled by the Spanish, the area is heavily Catholic. 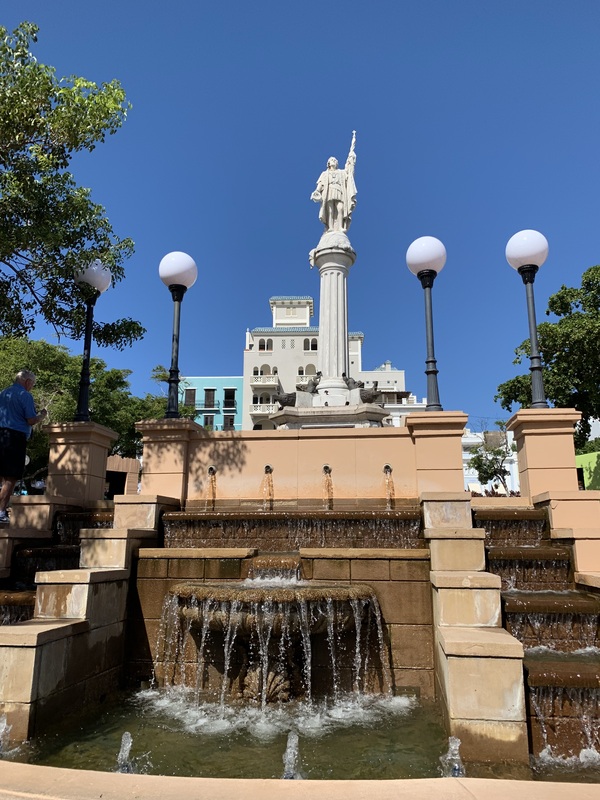 It was named San Juan in honor of St. John the Baptist. Today, January 6, in the Christian calendar is Epiphany, the day when the birth of Christ was revealed to the three kings. In San Juan, the day is a holiday known as Three Kings Day. 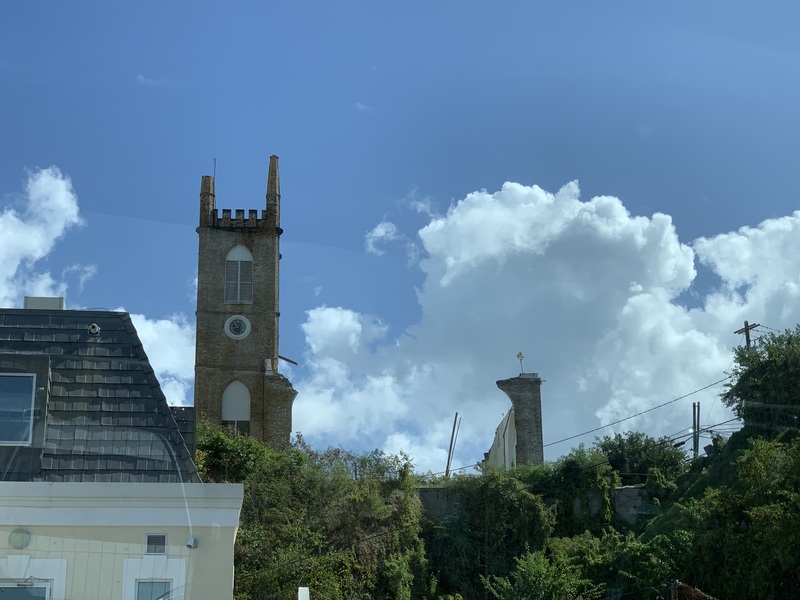 Our guide said, “Here in Puerto Rico, we celebrate Christmas longer than just about anyone else in the world.” He said that their celebration would end in a couple of weeks. Sure enough, later we were in a store and heard “I’m Dreaming of a White Christmas” playing. 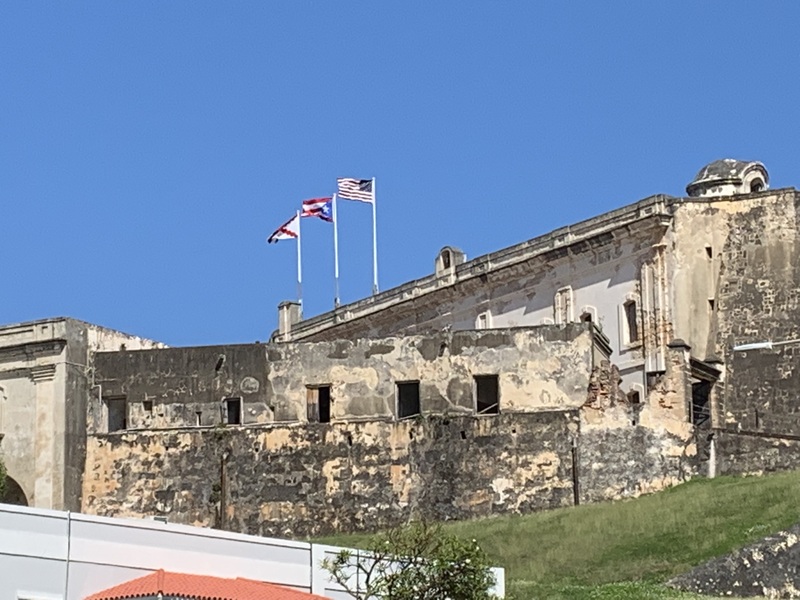 On our two-hour walking tour of Old San Juan we visited a fort that’s a San Juan National Historic Site maintained by the U.S. Department of the Interior. 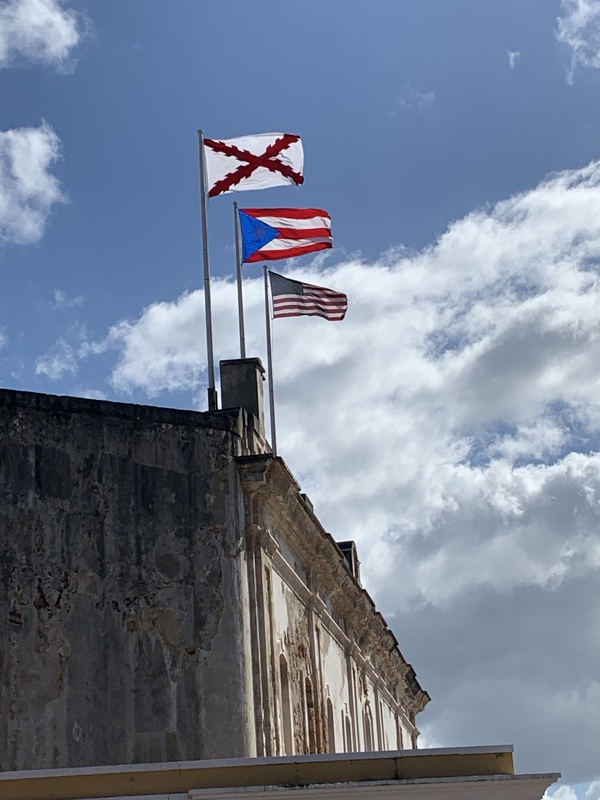 This historic site flies three flags: the Burgundy cross (symbol of the Spanish empire when San Juan was settled, the flag of Puerto Rico, and the U.S. flag. 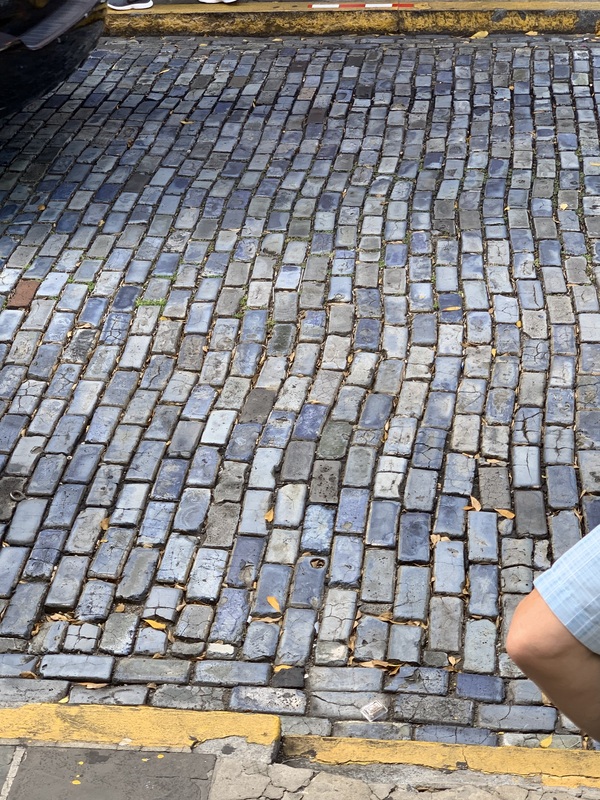 Many of the streets in Old San Juan are paved with blue stones that served as ballast in the Spanish galleons that brought goods and settlers to the region. 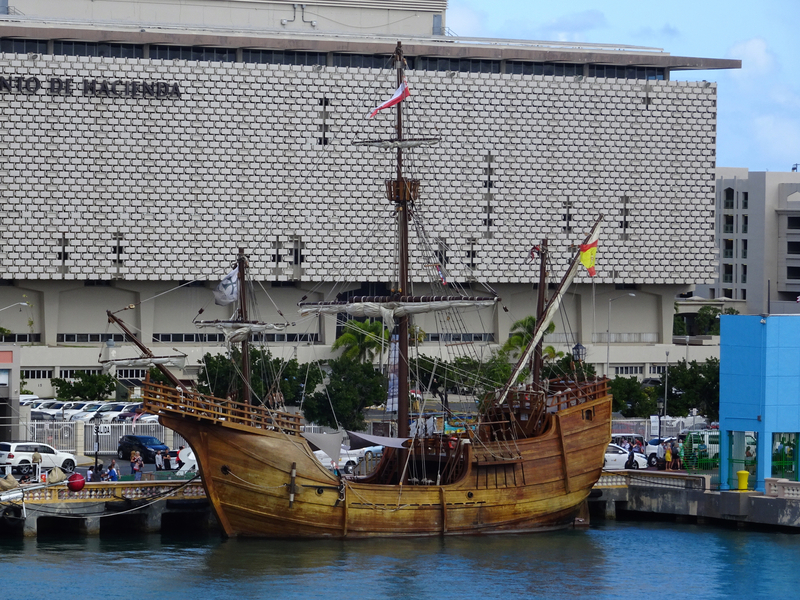 Not far from our ship lay a replica of the Santa Maria, the largest of Columbus’s three ships. This week on Refinery29, we’re filling your screens and consciousness with inspiring women over 50. Why? Because living in a culture obsessed with youth is exhausting for everyone. Ageing is a privilege, not something to dread. Their secrets for achieving a long marriage include hard work, forgiveness, keeping romance alive, never walking away from an argument, and making a decision and sticking with it. In case you missed this tidbit about me, we retired to Tacoma, WA, from St. Louis about five years ago. We love the Pacific Northwest, and one of our favorite activities is exploring new areas. We’ve visited Port Townsend, WA, several times and knew that it has a salty nautical heritage, so this article caught my eye. My mother was of a generation that thought of doctors as gods. She trusted doctors completely and did whatever they told her to do. When I once asked her what medications she was taking and what they were for, she had no idea. But most people today take a more active approach to their health care (I hope). This article provides good advice for doing just that. The best time to start taking charge of your medical care is when you’re not facing an emergency, and the article begins with a section on what to do when you’re healthy. It continues with sections about seeing a medical professional, being admitted to a hospital, returning home after hospitalization, and advocating for others. This is a long article, but it treats in depth the question of how humans interact with each other as well as with technology. Here in Washington State, USA, we vote by mail or by dropping our ballot into one of many collection boxes. I voted yesterday. If you haven’t yet voted, please get out there and do it. This year, voting is not merely a civic duty; it’s a moral imperative. Author Mary Daniels BrownPosted on November 6, 2018 Format ImageCategories personalLeave a comment on U.S. Citizens: Please Vote! 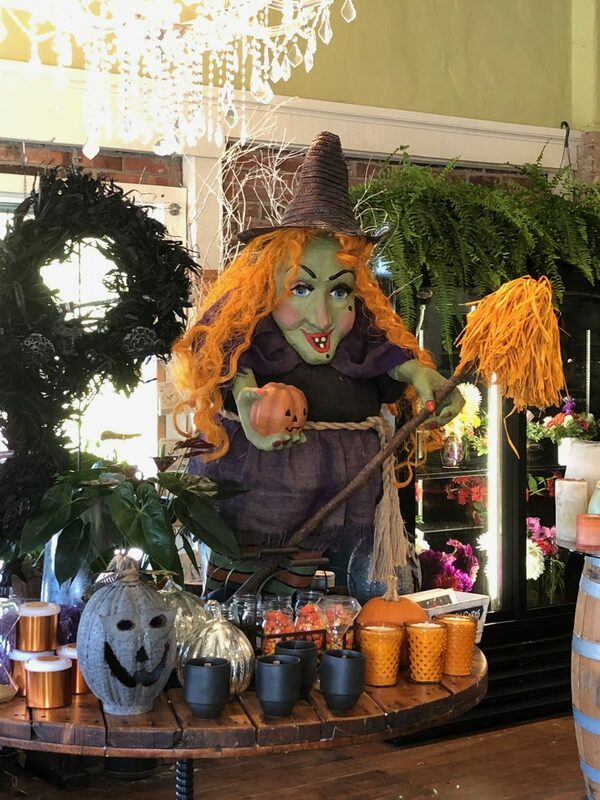 Author Mary Daniels BrownPosted on October 31, 2018 Format ImageCategories personalLeave a comment on Happy Halloween! In my other life I blog about books. One of my particular interests there is how literature reflects the culture that produces it. When I put together a list of 5 Novels That Feature Older Adult Characters for the post International Day of Older Persons on this blog, I realized that the topic of how older adults are portrayed in literature is appropriate for both sides of my life and deserves to be its own category. I’ll be cross-posting more such lists and book reviews on both blogs from time to time.